A unique item from the Black Hills of SD. 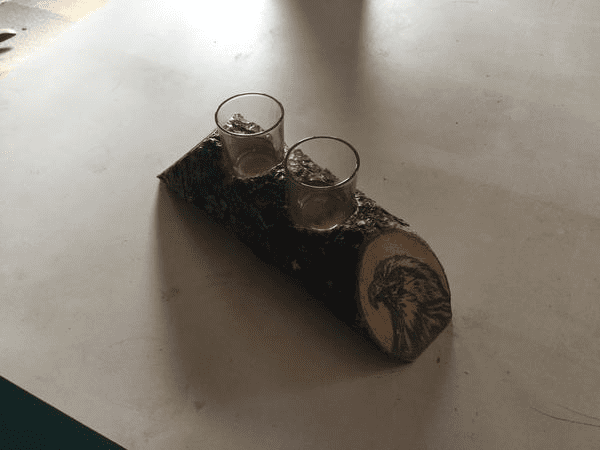 This candle holder is made from an Pine tree, we left the bark and moss for character. Hand drawn Eagle on one end and Eagle feather dream catcher on other side. 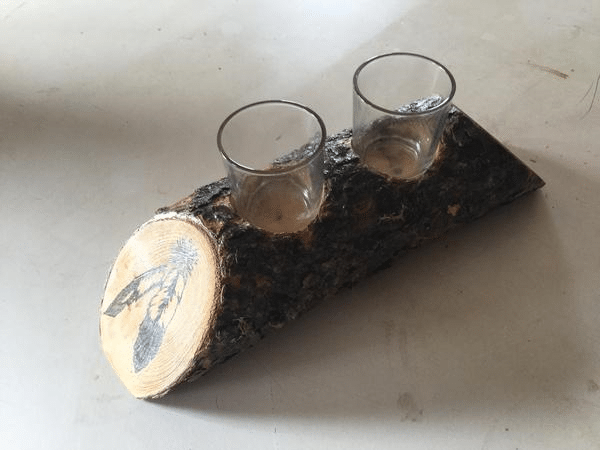 Item has been finished with 3 coats of polyurethane and comes with glass candle holders.